Ahronglong Sakinu, author of the books The Sage Hunter, Wind Walker, and Grandpa’s Ocean, is the recipient of numerous literary prizes, as well as being the Aboriginal author who most often appears in school textbooks. 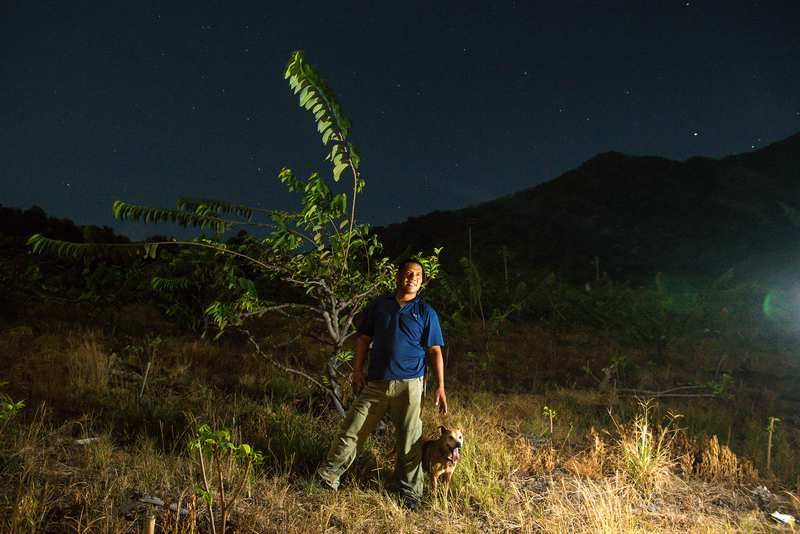 Sakinu, who is also a forest ranger, has for many years now been active in cultural circles in his status as an indigenous author. For the last two decades and more, he has taken Pai­wan culture as his faith. Besides returning to his hometown and establishing a tribal youth association, he has also been a pioneer in opening the Hunter School, trying to forge a new path. One night in the fourth month of the lunar calendar, an unusual crowd of people flowed into the La­lau­lan indigenous community in Tai­mali Township, Tai­tung County. They all bustled cheerfully toward Ahronglong Sa­kinu’s home, as if this were a major event that they had long been conspiring to bring about. Looking more closely, there are three wooden structures standing next to Sa­kinu’s home. It turns out that these are the shared spaces for the newly founded “Tepes” clan, which is led by Sa­kinu. 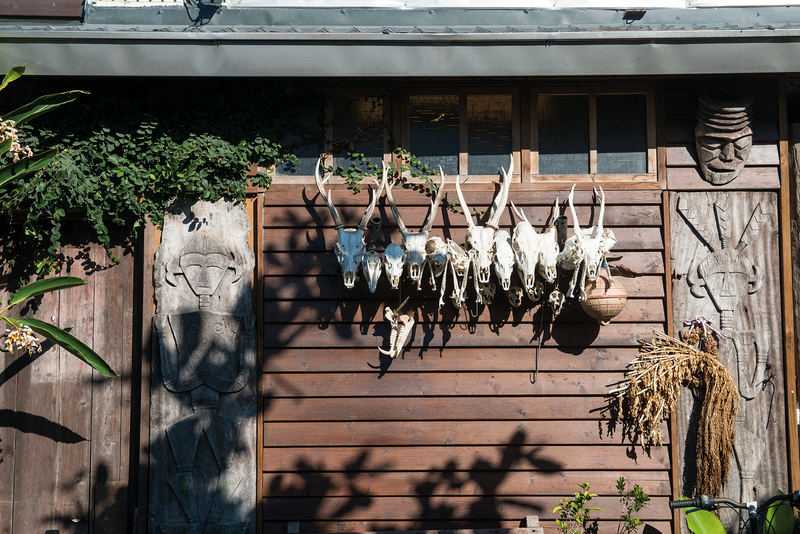 It includes the “Primitive House,” used for clan gatherings and open activities; the “Hunters’ Lodge,” used for men’s training sessions and gatherings; and the “Women’s Workshop,” which can only be entered by women and is attached to the offices of the Hunter School. Tomorrow will be an important day on which will be held a ritual to mark the founding of the new clan, and a ceremony marking the completion of the buildings’ construction. What’s surprising is that membership of Sa­kinu’s clan is not limited by blood ties. 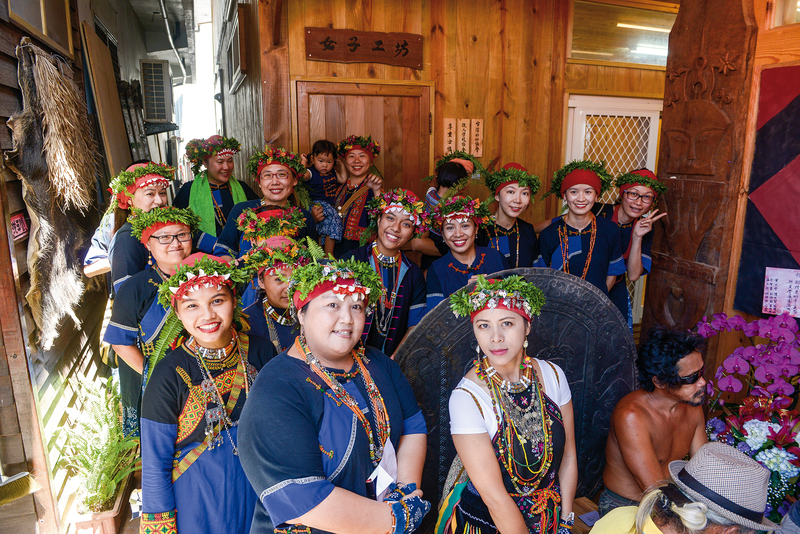 Members come from all over: besides people of the Pai­wan tribe, they also include Pu­yuma, Amis, and ­Truku people, as well as a number of Han Chinese, and even an Australian who has become part of the clan through marriage. Altogether the clan comprises seven households and five unmarried persons. The words “it’s enough if you understand yourself” seem like a fitting summary of Sa­kinu’s course over the last 20-plus years. 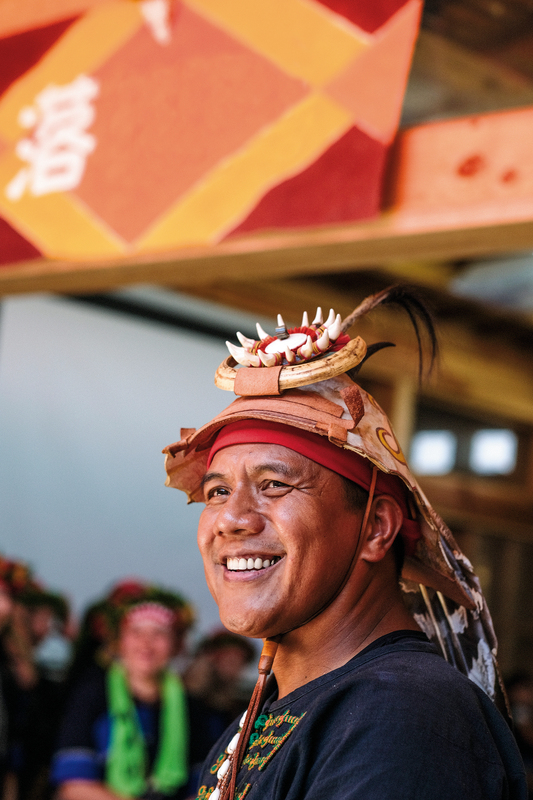 Although most people recognize Sa­kinu for his status as an indigenous author, besides writing, in his mind he has always embraced an even more ambitious utopian vision, and aspired to put it into practice. This aspiration originated in the unique background of his childhood years. La­lau­lan, where he grew up, was a mixed village of both Amis and Pai­wan people, due to compulsory relocation and combination during the era of Japanese rule. The Pai­wan were in the minority, and this, along with their intermingling with other tribes, led to a rapid loss of Pai­wan culture. Although elders could speak Pai­wan, they wore Amis clothing, and celebrated traditional Amis festivals with the Amis. In fact, quite a few tribe members didn’t even know they were Pai­wan. In the 1990s, when the indigenous movement surged, Sa­kinu, who had just graduated from the police academy and was working in Tai­pei, got caught up in the trend of that time and grew curious about his own identity. Besides self-study, he also relied on oral statements from his father and tribal elders. He made personal investigations and pro-actively consulted indigenous cultural workers. Drawing on a variety of sources, bit by bit he was able to reconstruct the life histories of tribe members. As he did so, Sa­kinu quickly realized that the essence of traditional Aboriginal culture lies in such things as humility and respect toward all living things, modes of interaction and communication rooted in indigenous people’s being at one with nature, and the body language exhibited during the hunt. These are precious universal values that are strikingly absent from modern society. “What are Taiwan’s core values?” Sa­kinu loves to ask people this question. And he has already received an answer from his mother culture. “First, you must be good to others.” He says that kindness and goodwill are at the root of everything. That’s why he treats people as he would want to be treated by others, and his home is always open to others. “Secondly, you must have a sense of aesthetics.” What Sa­kinu means by “aesthetics” is not a reference to any specific artwork, but rather is a characteristic dignity of the human spirit that is displayed in every action. It is something akin to the chivalry of medi­eval European knights or the Bu­shido code of Japan. “Finally, you have to have an understanding of the land and the environment.” Although Taiwanese enjoy mountain hiking, in their attitudes they are not really attached to the mountains, and have little interaction with nature. But Sa­kinu says that their attitude toward nature is crucial to the “style, sense, and class” of the Taiwanese people. These insights have not only become sustenance for Sa­kinu’s spirit, through their practice in daily life they have accumulated into cultural substance. Ultimately, he hopes that he can contribute this heritage to the entire world. Therefore, besides setting an example for others, Sa­kinu has also contributed his personal effort and dedicated himself unwaveringly to cultural work. In 2002 Sakinu’s second book, Wind Walker, was published. It describes how he once again followed in his father’s footsteps to go and hunt in the mountain forests. This book not only later came to be seen as his most representative work, it also became the starting point for his founding the Hunter School. So what is actually taught at the Hunter School? Sa­kinu and his students are unwilling to reveal too much. 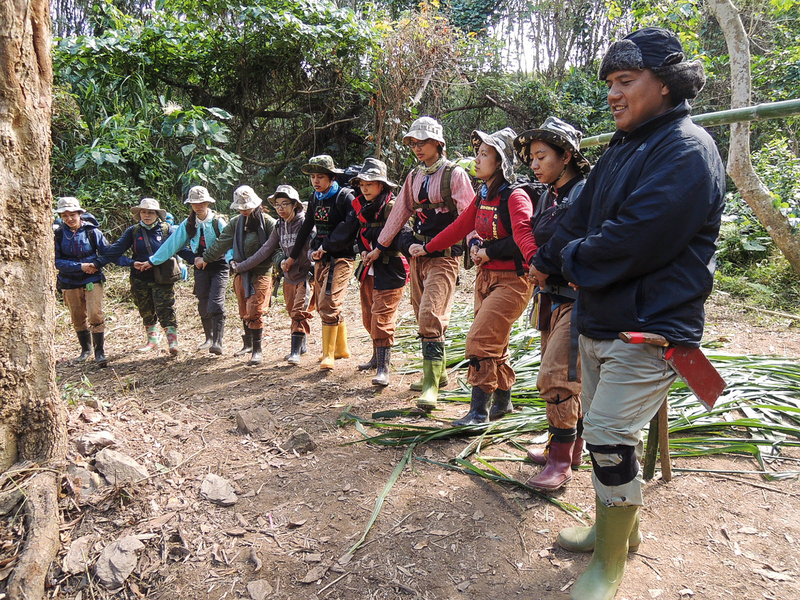 All we are allowed to know is that there is a four-stage curriculum going from easy to difficult, with each session lasting three to five days, and that each winter, the mountain forests of all Hua­lien and Tai­tung become their classroom. In terms of pedagogy, the Hunter School departs from the mainstream approach of spoon-feeding knowledge into children. Instead it focuses mainly on spiritual training. 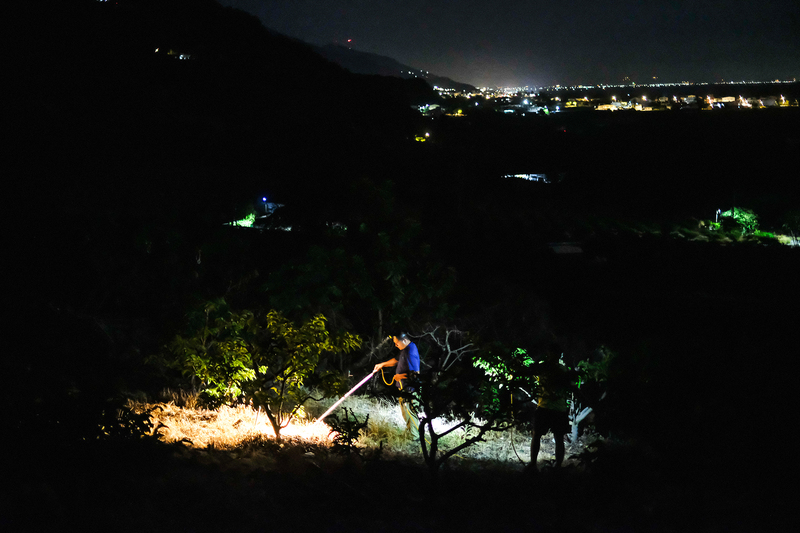 For example, in first-level classes Sa­kinu has the students learn to walk in the dark, to overcome their fears and awaken their suppressed inner potential. As for skills like identifying wild plants and outdoor survival techniques, which are the first things most people ask about, these are learned naturally through action. Over the last decade and more, school staff estimate that more than 100 people have come here to take classes, though only a dozen or so have completed all four stages. But there are quite a few people who, because they identify with Sa­kinu’s ideals, remain at his side and develop long-term, close relations. They call Sa­kinu “elder brother” and he calls them “younger brother” or “younger sister,” and they see each other as family. Moreover, after long years of training these students not only gradually advance to become core members of the Hunter School, but because they are kindred spirits they stay in close contact with each other under Sa­kinu’s leadership. 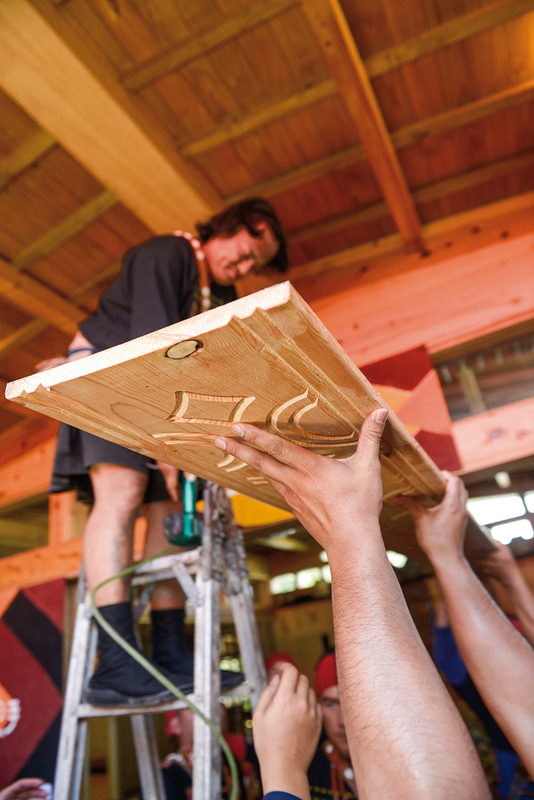 Although from an outsider’s perspective the Hunter School may seem to be nothing more than just another organization, because the members share common spiritual goals, their emotional connections are closer than with their own blood relations, making them seem like a newly born tribe within the indigenous community. Last year, Sa­kinu resolutely decided to donate family land and called on these younger brothers and sisters to help him build a real and substantial space for his clan. 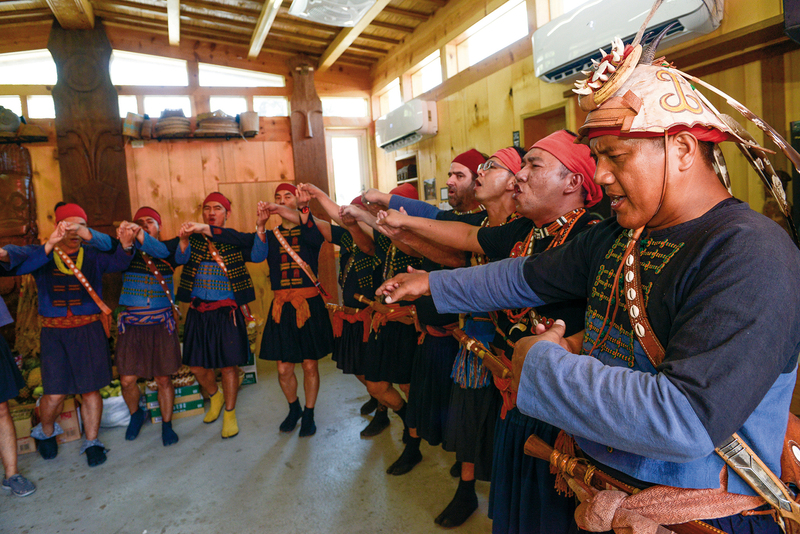 Clan members located all over Taiwan—who have long since ceased to be mere students—responded en masse, contributing money or labor according to their circumstances. Many people mistakenly assume that Sakinu’s actions are all based on reconstructing tradition, but this is not the case. For example, his clan is tied together by a shared spirit and ideals, and is not defined by blood ties. 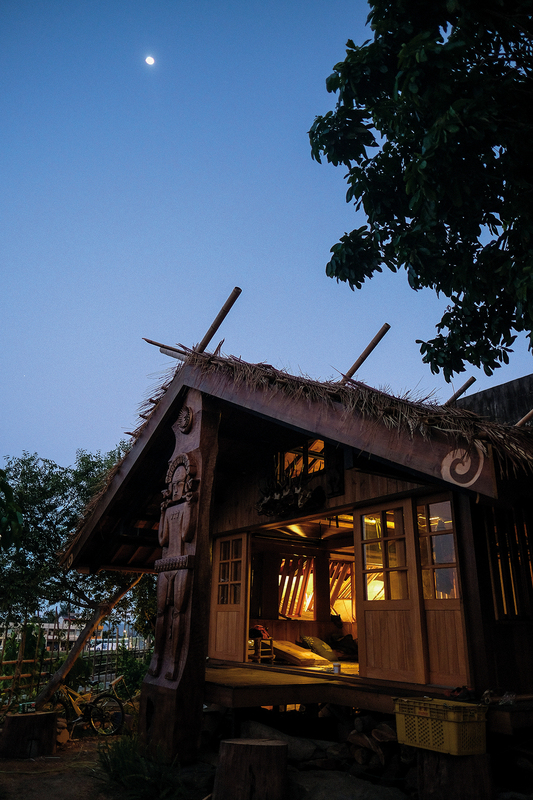 Also, the three wooden buildings mentioned earlier are not traditional Pai­wan flagstone structures, but combine Japanese and Filipino styles, while also striving for both functionality and aesthetics. And when he led the way in proposing the Hunter School ten-plus years ago, he not only emphasized the training of young women, but when devising the students’ uniforms he also adapted the complex, heavy attire of traditional Pai­wan costume into simple, lightweight garments. The road that Sa­kinu is walking is a new one that his forebears dared not consider and dared not embark on.